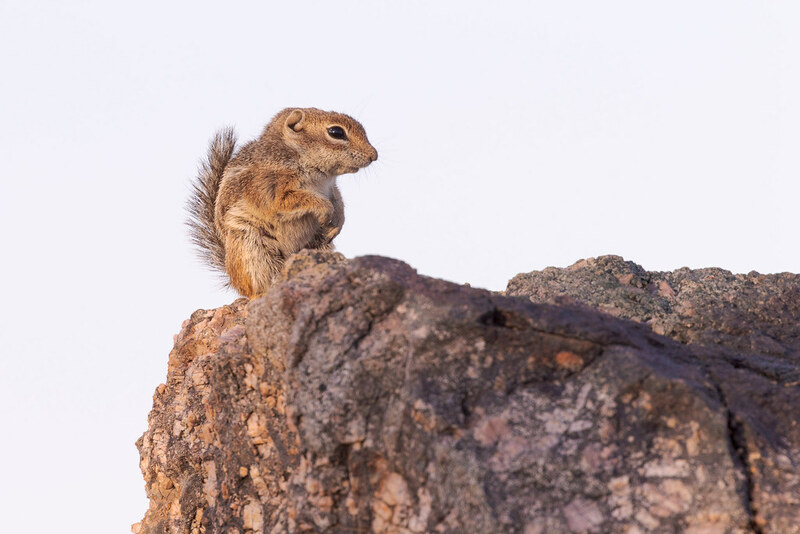 This Harris’s antelope squirrel had the high ground early on a June morning, perched atop granite rocks atop a small hill, so it saw me from a distance as I approached up the Vaquero Trail. The rising sun soon joined us and we spent that wonderful moment together when the light first sweeps across the desert landscape. It was moments like these that made me fall in love with the area, the trail is close to our new house so perhaps the squirrel and I will be reunited before long. I haven’t been hiking since we moved, Ellie’s had a tough week adjusting to the new house so I’ve spent my evenings with her when she struggles the most and have been too tired to go out in the mornings. We’ll see about tomorrow, the wildflowers are in full bloom so it would be a shame to miss them, but she’s a higher priority. 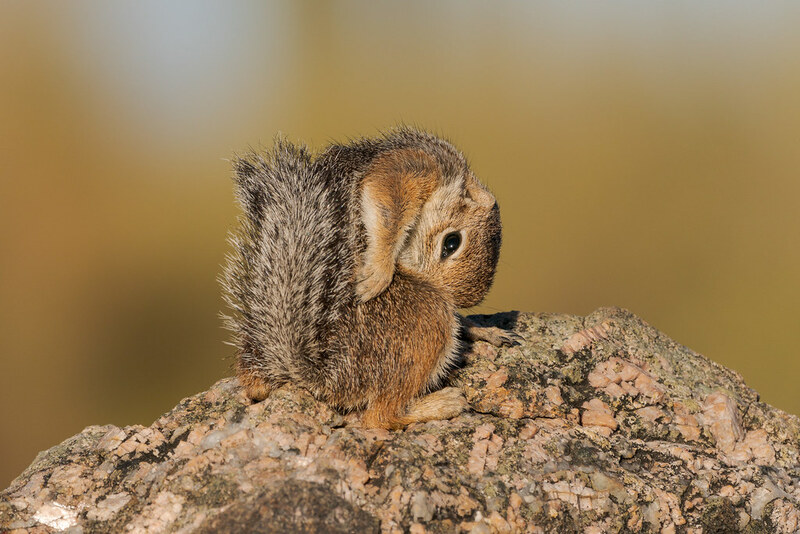 This pose is known as “no bones antelope squirrel”. 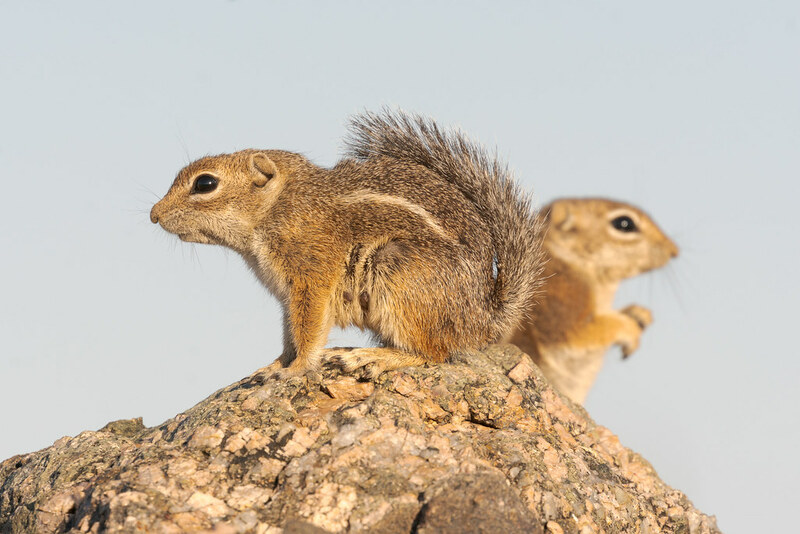 Most of the time I see Harris’s antelope squirrels at a distance as they scurry about their desert home. Sometimes I get lucky and get to watch one up close for a while, it’s always a treat to earn their trust. This little fellow had just finished eating a cactus fruit, you can see some of the green rind he discarded at his feet. The antelopes are smaller than the other ground squirrels in our neck of the desert, the rock squirrel, and different in appearance as well. I didn’t do any hiking on any of my three days off this weekend as my chronic bowel issues have been bothering me a bit of late and its too risky to take to the trails since I don’t have much warning when trouble is brewing. And while we don’t have any ground squirrels in our neighborhood I nevertheless did see an antelope yesterday as my wife and I attended a few open houses. 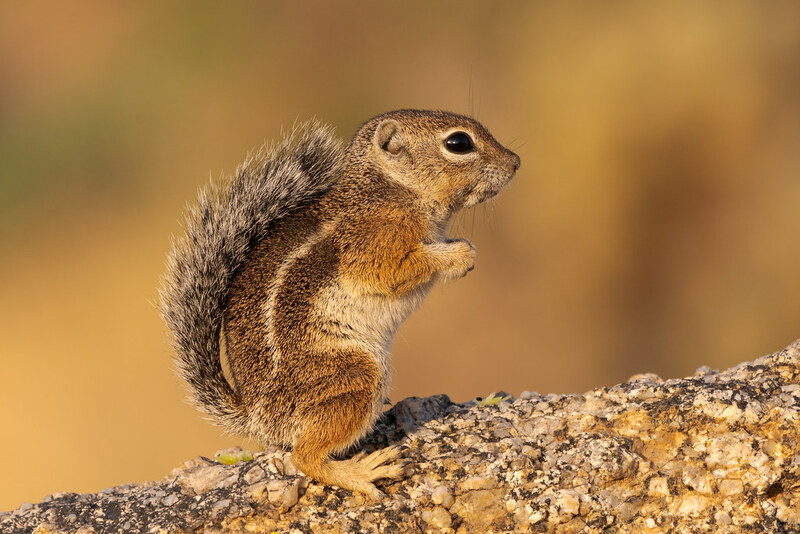 One house literally had my favorite part of my favorite park behind its backyard and as we pulled up an antelope squirrel (not this one, but he was at the same preserve) ran out of the rocks of the house across the street. We’re not ready to buy yet, just trying to get a feel for the neighborhoods, and I’m not sure I’d want that long of a commute to work even if it meant I could literally walk out the door to a nearby trail, or a trivial drive to the trailhead I visit most often. But it has me thinking. 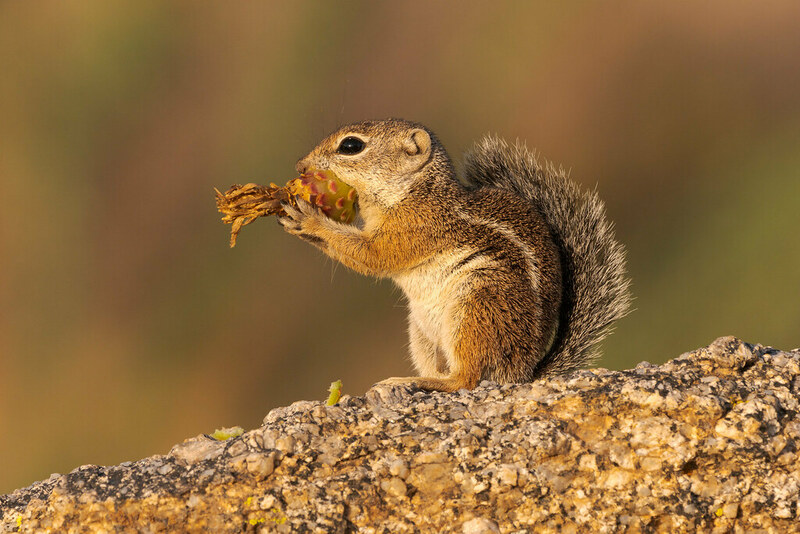 A Harris’s antelope squirrel eats a cactus fruit (not sure what kind, compass barrel cactus perhaps?) by sticking its face into the center of the fruit. I couldn’t tell if this antelope squirrel was delighted because it was happy to see me or because I had walked into its trap. I love this little spot on the Vaquero Trail. I first started stopping here to look for the Harris’s antelope squirrels that use the rocks as a lookout, replete with a surrounding network of holes leading underground. It’s a nice spot for a water break and a little breakfast and in that quiet I’ve seen a variety of other desert wildlife, from birds to mammals to reptiles. Including a remarkably beautiful creature I didn’t know existed and which I hope didn’t eat my beloved little squirrels. 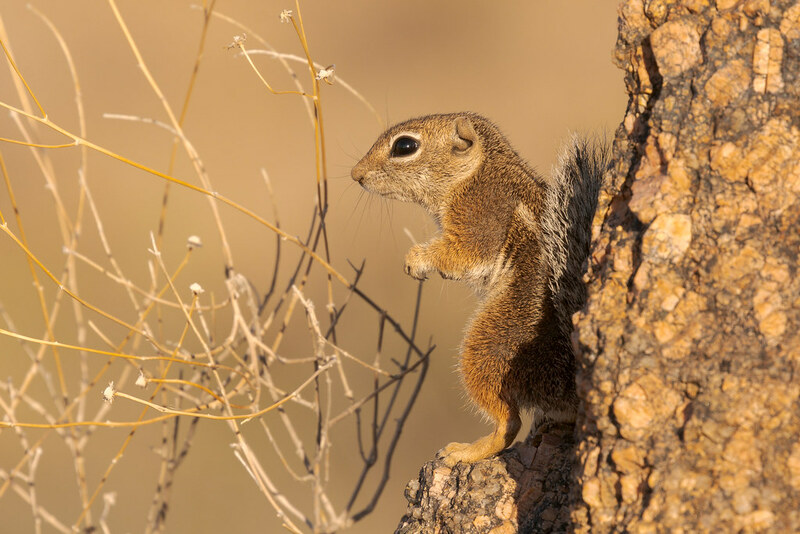 I first learned of the Harris’s antelope squirrel from a sign on the Bajada Nature Trail a couple of weeks after we moved here, and funnily enough got my first brief look at one just a few minutes later. 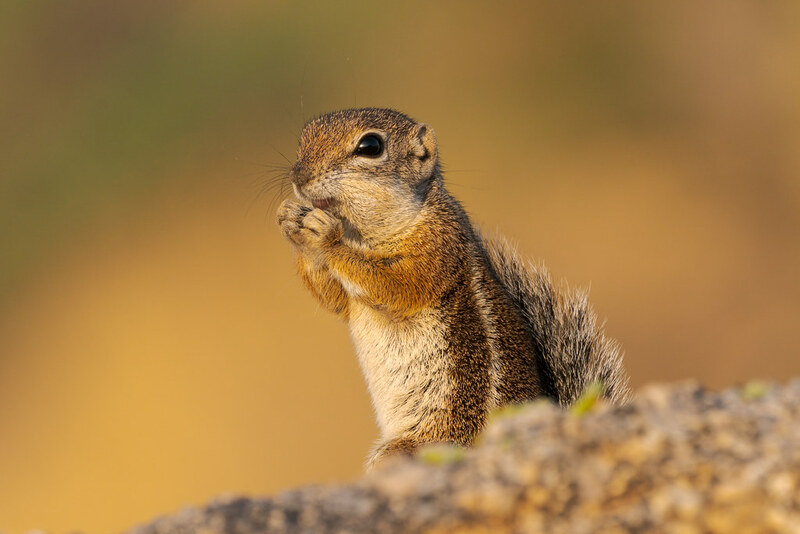 After seeing one of the little ground squirrels up close on the Vaquero Trail I did a little research to learn if their home range was small (it is) and if they liked to look out from higher vantage points like the one I had observed (they do). Knowing that, I decided to hike the Vaquero Trail again and kept my eyes peeled when I approached the area of my previous sighting. And there it was up on the rocks! Up on a small hill it had a complete view of its surroundings and would have seen me before I saw it. Unfortunately I had forgotten my 100-400mm lens at home but I returned the next morning and there it was again! I had settled on using my Canon 100-400mm lens with a 1.4X teleconverter as my wildlife hiking setup, which presented a problem, as on my Canon body I could only use the center focus point, and the autofocus wasn’t that reliable in low light. Attached to my Sony body the autofocus was sometimes quick but not reliably, but I could also use it for video and for manual focus. I shot the squirrel with both setups, starting with the Canon before switching to the Sony. Fortunately the AF was working well when a second squirrel popped up behind the first! The experience cinched a decision I had been mulling for a while now and that afternoon my wife and I went down to Tempe Camera and purchased the Sony 100-400mm lens and Sony 1.4X teleconverter. The new lens proved its mettle as soon as I arrived at the preserve the next morning, and on multiple hikes since, but those are stories for another day.